Lost dog at columbine and Snowshoe on 9/1/2018. 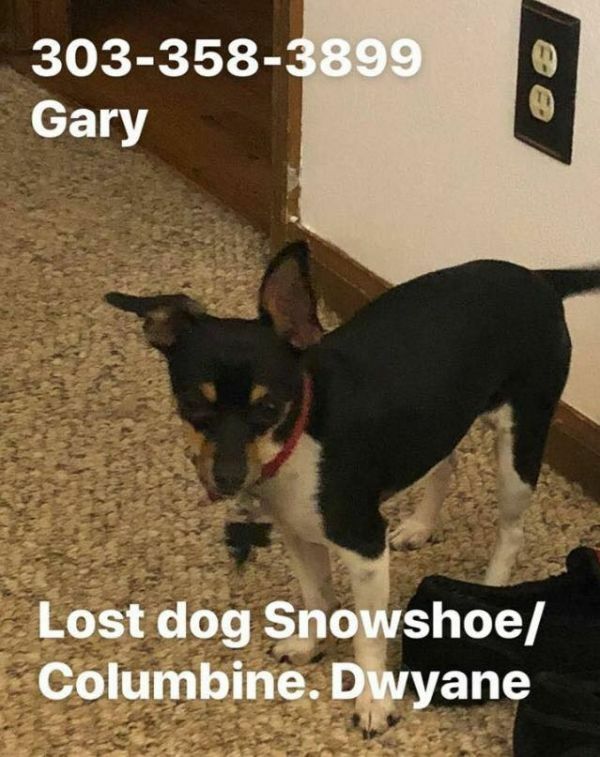 Please call Gary at 303-358-3899 if you see the pup. Posting For a neighbor.